As the world ponders what Barack Obama’s re-election will mean in regard to the U.S.’s stance against Iran, an Iranian intelligence ministry report says that the Obama administration will be easier to deal with than the Republican administration that could have been in the White House. It asserts that the current administration has “completely different” views on Iran than Israel — views that are more flexible even than those of the European Union. “Although Democrats have not hesitated in implementing hostile policies against the Iranian nation and repeatedly say that ‘all options are on the table,’ they have pinned their hope on diplomacy,” the report said. The report, quoted by media on Thursday and posted on the ministry’s newly launched website vaja.ir, was prepared before Obama’s re-election victory Tuesday over rival Republican candidate Mitt Romney, according to AFP. “The Republican party has a more severe confrontational approach towards Iran… and its proposed policies are close to those of the Zionist regime [Israel],” the report said. Obama’s “Democratic party’s position is completely different” on Iran, it added. The analysis contradicts the rhetoric of Iranian leaders and media who daily denounced Obama during his first term, accusing him of aligning his policies with those of Israel in a bid to weaken the Islamic republic. The analysis also argues that the Obama administration has a more moderate approach on sanctions against Tehran than European countries. “Although Americans have themselves imposed expansive sanctions against Iran, they are still trailing the Europeans in this regard,” it said. 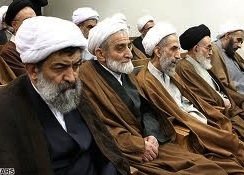 Iran has also signalled it may be open to hold dialogue with the “Great Satan,” its epithet for the United States, following the re-election of Obama. I should think so. How can they go wrong by negotiating with our president, who, to put the most optimistic face on it, is a dupe and a bungler? No doubt there are a few voters who would have liked to hear Iran’s assessment of Obama and the Republicans prior to the election, but it wouldn’t have made any difference if the press had reported the story. The election was all about free stuff, and news bearing on national security would have made no difference.